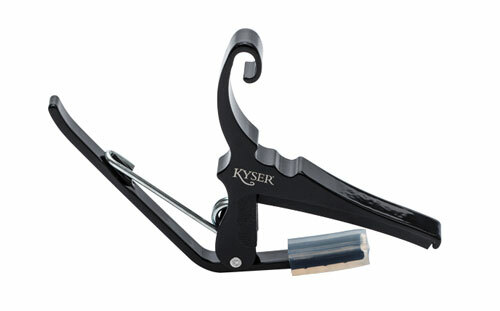 The Kyser Quick Change Capo is the industry leader among capos! Easy on and easy off. This premier capo is easily moved from fret to fret with one hand. Its soft surface allows for accurate intonation and reduced fret buzz. Finally found my favorite capo!!! My local music store didn’t carry these, so I tried a different capo. NOT a good idea. 🤨 Then I found it here!!!! Ahhhhh... life is good again. Thanks for always carrying the best stuff and delivering it so quickly!! !